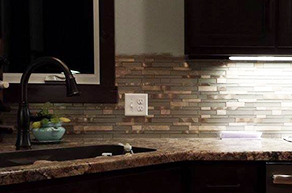 From bathrooms to kitchens to full home renovations, we can handle a wide range of home remodeling projects. 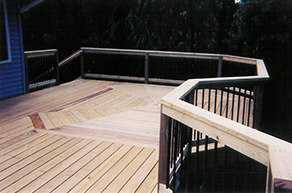 You can hire us for decks, pergolas and garage construction services and even smaller Handyman Services. Creating beautiful and exceptional quality Home Remodeling and Additions to upgrade your home. Bring your kitchen and bathroom to life through high quality, low cost renovation or remodeling! Creating beautiful Decks and Pergolas, as an outdoor refuge for your friends and family to enjoy! 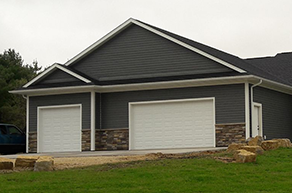 STR Construction has the experience to create beautiful Attached or Detached garages. STR Construction has been in business since 2002 and has the incalculable experience necessary to provide you with the best interior and exterior remodeling services around. Our entire team is consistently trained to encompass the newest knowledge of every remodel project available. We enjoy serving our customers and we excel at first-class customer relations; conducting the most exceptional remodeling and renovation project this area has to offer. Our quality is unmatched and we take great pride in the compassionate and ethical nature of our profession. For the last 16+ years, Scott Reuter of STR Construction has created beautiful basements, kitchens, bathrooms, garages and more to fit any family size and lifestyle. Every project we work on is handled with the utmost professionalism, master craftsmanship and integrity ensuring you are 100% satisfied with your project. Everything we work on is managed personally by Scott Reuter to make sure that the service provided to you is the best. There are many important factors to include when considering a new home or remodeling project. Scott Reuter is here to make your part in the process so much easier and stress-free. Let us worry about location, home access, materials, permits, drainage, sun access, and other issues. Our top priorities considered are always safety and how well your home or remodel will increase your home’s functionality and appearance. 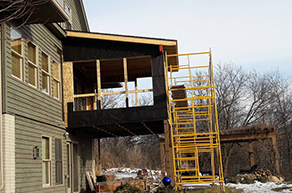 STR Construction has been the remodeler of choice for many residents throughout the Western Wisconin and Eastern Minnesota Areas bringing an unparalelled approach to business with integrity, morals and values. A handshake and eye contact mean everything to us. Our many years of experience and reputation sets us apart from our competition and we look forward to serving your needs.. Call Scott Reuter at 715-821-0553 today for a free and friendly estimate! STR Construction, Inc. is a licensed and insured home remodeling services company. At STR Construction, we strive to provide 100% customer satisfaction. Our professionals will cater to your needs with prompt services.